The perfect transition from the 85cc class to the larger four-strokes returns to the Suzuki lineup in 2008. Value for performance has always been the hallmark of the 125cc class. Maintenance is also simplified and straightforward on any two-stroke, especially the 125 two-stroke. 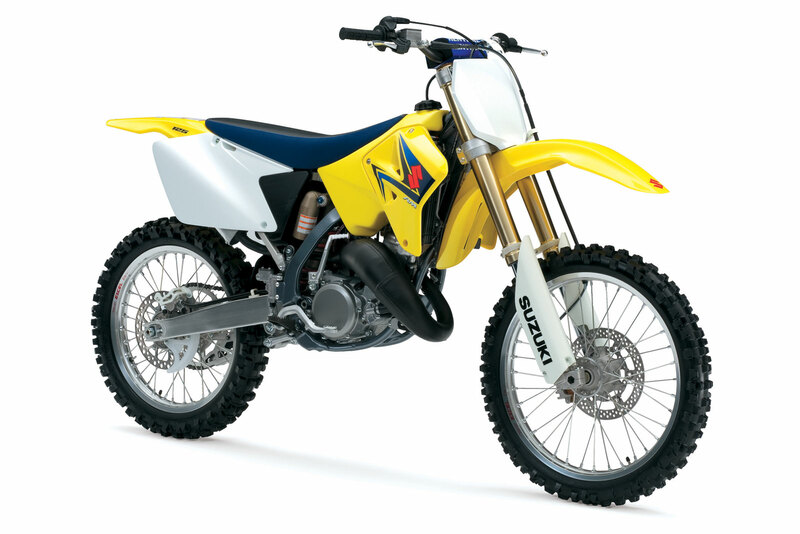 – The final production of the Championship Winning two-stroke RM250. – Aluminum cylinder core features Suzuki Composite Electrochemical Material (SCEM) for better heat dissipation, improving durability and weight savings. – Each side of the seat has textured surface for better knee gripping. – Full-floating front disc brake works with dual-piston caliper and rear disc brake with single-piston caliper.